Styled with nikki relaxed jean. 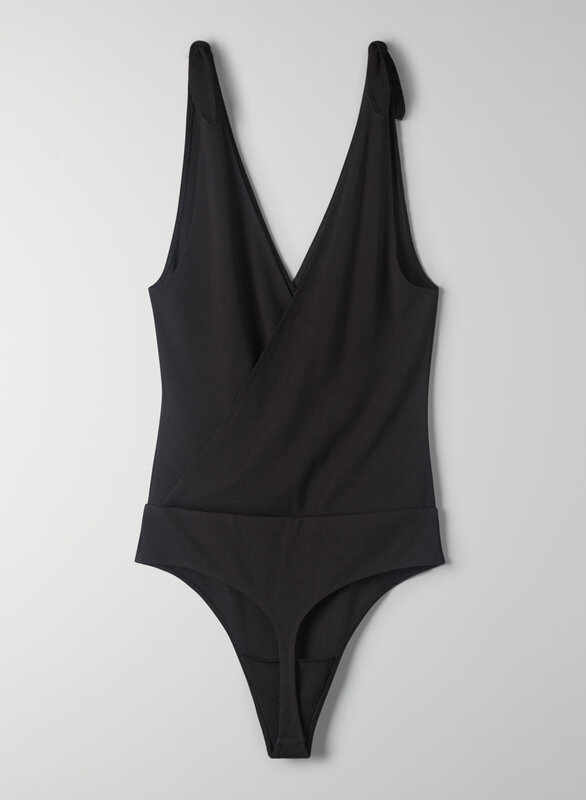 This bodysuit has adjustable tie straps, a cross-over body, and a deep V-neckline. It’s made with a stretchy ribbed fabric that holds its shape.